The model 3500-115 is a full featured ringing,tone and interrupter plant (50 to 100 watts). 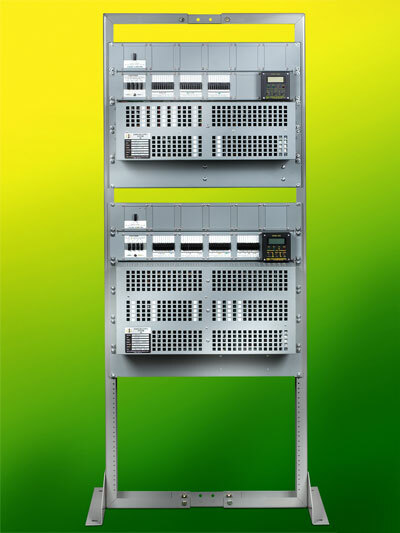 It is designed to provide all signals for residual ringing applications. The model 3500-115 standard ring plant is designed to furnish ringing current and signals not supplied by the switch, yet needed for Private Line, Metallic Facility, Dial Long Line, Foreign Exchange or Test Desk circuits. This unit can also function as a primary source of ring, tone, and interrupter signals for a Central Office, Remote Terminal or customer Premise application. The many standard features and flexible options make this an excellent choice to meet present and future requirements for ringing and signaling. A basic unit will give the user redundant ringing with 50VA or optional 100VA generators which provide continuous and interrupted ringing current. Fuses are included and pre-wired for all standard and optional outputs. This makes for easier field additions of plug-in options. A redundant interrupter with 3 interrupter ground cadences also comes standard with the basic unit. Additional options can easily be added to the basic unit at the factory or later in the field. All options have been designed so a minimum amount of time and no special tools are required to install them. Other tone options are available. **These options add an additional 3.5″ to unit height.